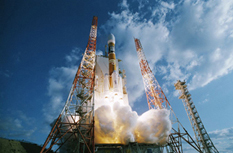 JAXA performs the following among our various activities to be promoted at the TKSC to fulfil its role as a core organization for Japan’s space development. Development and operation of satellites, which are eyes from space, and analysis of acquired observation data (images). 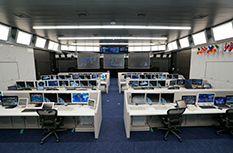 Space environment utilization using the Japanese Experiment Module “Kibo” of the International Space Station, providing astronaut training, and promoting manned space activities. Development of launch vehicles and other space transportation systems and technological research promotion. 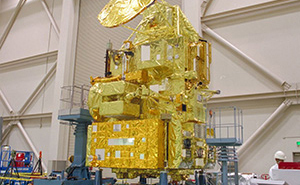 Satellites and rockets are disassembled, and their parts and systems are tested to ensure their endurance in a vacuum and in the thermal environment of space. 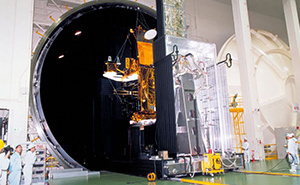 In this building, satellites or launch vehicles undergo vibration tests by separating them into each unit or system. 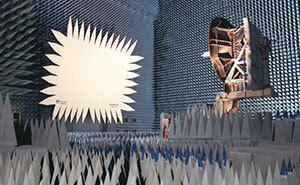 This facility is used to evaluate the conduct radiowave performance of spacecraft, properties tests of antennas and radiowave sensors, and measure their radiowave characteristics. 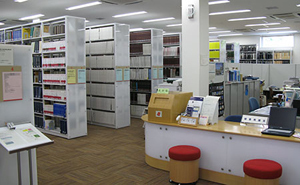 The library at the JAXA Tsukuba Space Center is a special library for the space field. Everyone is welcome there. Please contact us before you visit the library. 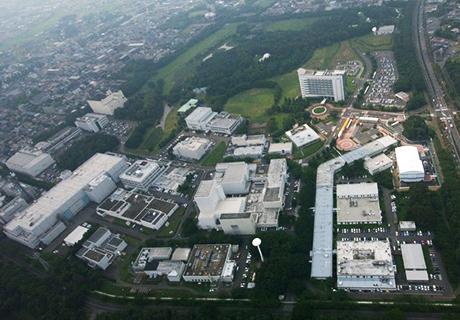 As JAXA's central site for research and space development, the Tsukuba Space Center (TKSC) offers tours of its facility and exhibitions for a better understanding of its work. At our exhibition hall “Space Dome,” you can look at many space-related exhibits at close range including full-scale satellite models, real rocket engines, and a life-size model of the “Kibo,” the Japanese Experiment Module for the International Space Station. Also, at “Planet Cube,” we hold a special exhibition featuring some seasonal or up-to-date theme. Please come to visit us. Please feel free to contact the Public Affairs Department at the Tsukuba Space Center for interview, PR activities and special events. Irregular, Year-end and New Year holidays (from Dec.29 to Jan.3), and facility maintenance day (irregular). Please check our opening days on the web. 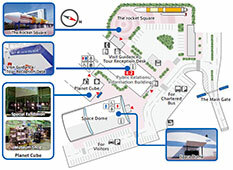 No reservations are required for the TKSC exhibition hall. Prior contact to Tour Reception Desk is required if you come in group of 10 or more people or by chartered bus. Reservations are required for the guided tour. Wheel chairs and strollers can enter the exhibition hall. You can see an actual H-II Launch Vehicle (real flight model) when you go through the main gate. Please feel the dynamism of a real launch vehicle that is 50 meters in length. 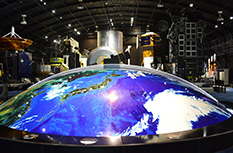 The Exhibition Hall shows visitors the current status and advancement of Japan's space development along with JAXA's development. 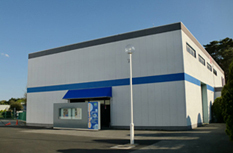 Neither prior application nor reservations are required for the Exhibition Hall. Please come and enjoy the exhibition freely anytime during the open hours. Please call the Tour Reception Desk beforehand, if your tour group consists of 10 or more people, or if your group charters a bus to come to the TKSC. Planet Cube is adjacent to the Space Dome and dispatches updated space information and topics in a timely manner. Also, various events are being held there. 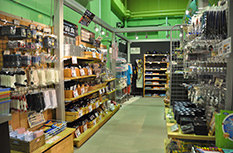 We sell JAXA and space-related goods. "Space Curry," "Freeze-dried cake," and "Freeze-dried ice cream" are popular items. Please stop by our shop when you visit the TKSC. Please take your trash with you. Do not damage or destroy exhibits, facilities, devices, or buildings. Smoking is prohibited in TKSC except in designated areas. 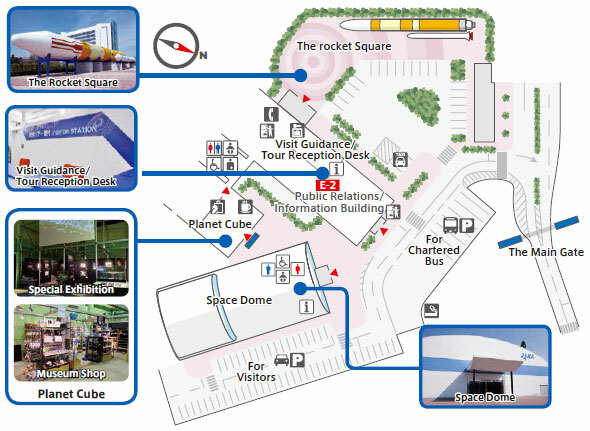 Eating and drinking are prohibited inside and around the Space Dome and Planet Cube, but permitted at E-2 building and cafeteria (C-2). The cafeteria is open only on weekdays and can be used by all guests with registration. TKSC is not responsible for any accidents, damages, or injuries that may happen to visitors. To maintain our visitors’ tours with suitable contents, JAXA renewed visitors’ tour at the Tsukuba space Center from October 2015. We ask tour participants to bear part of the tour expense as follows. 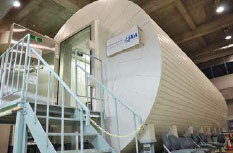 The tour will take you to "KIBO" Flight Control Room and the Astronaut Training Facility. You can see realtime operations of "KIBO", the Japanese Experiment Module on the International Space Station, and know about astronauts' selection, training, and healthcare. Please be aware before you apply for the tour that it may be cancelled due to JAXA’s activity schedule as various research, development and test related activities are carried out at the TKSC. All participants over the age of junior high-school students are required to show their photo ID. Without the ID, you cannot participate in the tour. Photo shooting is prohibited in some areas. Please come to the tour reception desk 30 minutes prior to the start of the tour. If you are late, you may not be able to join the tour. The tour takes about 70 minutes. (ID confirmation takes 30 minutes before the tour.) The tour does not include the exhibition hall “Space Dome”. 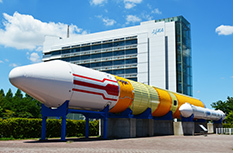 The Tsukuba Space Center offers a visitors’ tour with a guide to look around some facilities of Japan’s largest-class aerospace development center. We ask participants to pay a fee for the tour as follows. * We accept cash payments only. (Please show us your disability certificate (physical, rehabilitation, mental, or A-bomb disability certificate)). You can make a tour reservation from 2:00 p.m. five months prior to your tour month. (Ex) If you plan to participate in a tour sometime in October, we can accept your reservation from 2:00 p.m. on May 1. If you would like a tour in English, early reservation is strongly recommended because English tour is not always available for schedule conflict reasons. You will board Tsukuba Space Center's tour bus. If you come to TKSC by chartered bus, the bus is used to transport you to the tour site.